Hey there! For some time I’ve been thinking about ways to track prayer requests so that I feel empowered and organized. Not only for organizing prayer requests, but for becoming intentional in prayer with God. For three months, I’ve been using several different ways to keep a prayer journal. 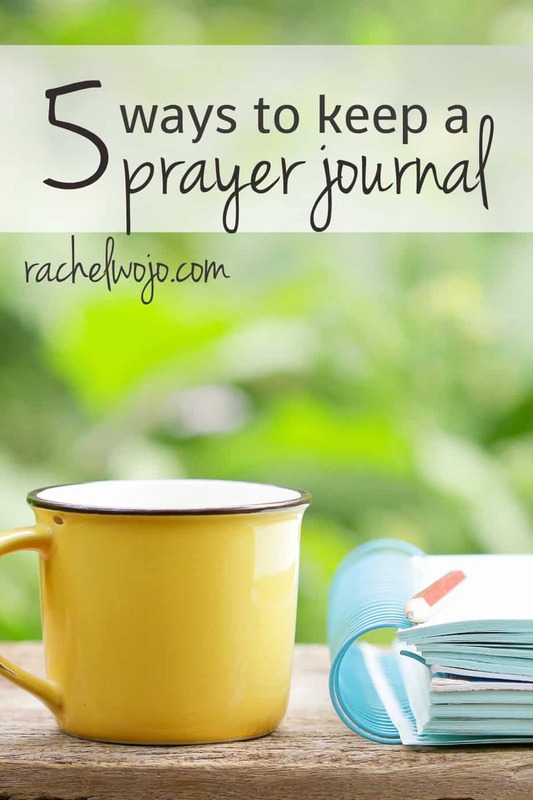 While I’ve settled on a method that seems to work well for me, today I’m passing on ways to keep a prayer journal that will help you be more purposeful in your prayer life. I hope that one of these methods will assist you in keeping a daily prayer time! 1. Write your thoughts to God in a blank journal. All types of blank journals can be find in retail stores. I found this one for only $6.49 that can be personally monogrammed and wanted you to see it as an example. When you use a blank journal, it is helpful to have a guide for your questions. At the ch@t conference, I provided this prayer pattern that makes it easy to focus your thoughts in prayer. 2. Print your own prayer journal. Here are a few of the FREE printables I found for prayer journaling if you want to print and organize your own binder. Daily Dwelling created some lovely prayer lists and encourages you to divide your binder into sections with headings. Mother’s Niche has a wonderful printable sheet to use as a prayer guide for journaling. WomensMinistry.net offers an entire booklet guide to prayer journaling. I truly enjoyed all the information they packed into one small booklet and found it helpful as a guide to begin thinking more intentionally on prayer. Ch@t prayer journal pages provide a wonderful easy guide to use daily. Choose from bookmarks to use with your own journal or print and use the journal pages! 3. Use your phone reminders. If you want to pray for someone at a certain time each day, then using phone reminders is a great way to do that. Also, if you want to remember to pray for someone who has surgery on Thursday at 1 pm, phone reminders are a brilliant way to remember that request. This app not only holds prayers by category to guide your thoughts, but also an enhanced prayer request section that allows tracking for answer and unanswered requests. Pocket Prayer is available on Itunes. 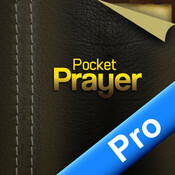 There are many other prayer apps available, but honestly I tried several and found the free lite version of Pocket Prayer to perform well. 5. Use a spreadsheet on your computer. This is a great option for office executives if used as part of a morning quiet time routine. I’d love to hear your thoughts on keeping a prayer journal! Would you mind sharing what methods you’ve found to work well in maintaining a prayer journal? ADDENDUM: This post sparked quite the virtual conversations and in order to continue to promote personal quiet time, the ch@t printable bookmark mentioned above was made available as a free download. Thanks for the recommendation! Will check them out! So which method is the one you’ve come to use? I keep an ongoing list of request in the back whatever current Bible study journal I am using. I want to make intentional prayer a part of my morning quiet time. Most days I read and study and by the time I get around to praying, the kids are up or I need to be done and get the day started. Wow thanks for the links to print you own – love that! Honestly, I keep trying different methods and not one of them “sticks” very long! I finally gave up trying to journal… maybe I’ll try out some of your suggestions though. I’d love to find something that works for this season of life! I have pictures of each person I pray for divided by day. For example, on Mondays I have certain folks pictures. I pray for all of those people every Monday. I have this for each day of the week. I have post it notes that I put in my journal for those things or people that will be temporary in my life. I have a list of folks that I have on EVERY day of the week with their pictures in the front of the journal. I also have pages at the end of the weekly pages where I record answers. The back of the journal and front of the journal are verses that I pray for people. One way that I have found to pray for my husband and kids is to keep a picture of each of them in my Bible. On the back I write specific things that I am praying for each of them. I ask God for specific verses to pray for them, and write them on the back as well. At the beginning of each year, I change the picture. 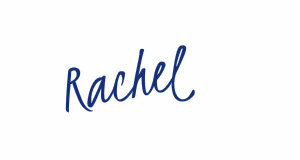 Thanks for some great resources Rachel…I think the phone reminders is a great idea. I want to get in the habit of praying while I clean but I get so sidetracked and forgetful! I may not have a good hour to sit down but I can schedule in several shorter prayer times throughout my day. Thank you! I use different things….I do have journal from Lisa Whelch that helps me to focus during times of being unfocused. I am currently reading “Draw the Circle the 40 day Prayer Challenge” by Mark Batterson which has really encouraged me in my prayer life and spurred me on how to pray for my church family which I have been writing in letter form to my Heavenly Father. I believe in praying Scripture, so I recently have begun to read one chapter a day from the Gospel of Matthew during Jesus’ ministry. I journal what He tells us to do and then journal pray for that to become a part of my life as well as others. Thank you, thank you, THANK YOU for this post. I’ve run out of ideas on how to feel like my prayer life is more successful. Will be trying a few of these methods! I still don’t get the idea/concept of a prayer journal. We’re supposed to write our prayers and thrn remember later if they were answered? Great question- Rachelle! I think you can look at it the way you have written it. Or in my case, I’ve used it just to keep lists of prayer requests to remember to pray for them. Or at times, I’ve written out my prayers to God just to stay focused during prayer time (when I worked night shift in college I did this to stay awake during prayer time!) I think they are good to see your consistency and faithfulness in prayer- that alone can be a good thing. So I don’t think there is a “right way”- prayer journals are simply tools to help you be more consistent in your prayer life, no matter how you use them. Thanks Rachel. I will give it a shot. Hi. I found Gina Garland’s you tube video about putting together and using a prayer journal really helpful. If you email her if you think her ideas will work for you, she sends you a pdf booklet (free). Thank you so much for sharing that info, Jane!! Blessings to you. Thank you Jane! I will check it out now. Jane – I watched her video on youtube and it’s great! This is totally a God thing, as a few months ago I bought a small binder, blank paper, divider’s and folders for the binder, and I haven’t used it for anything. Until now! I will be working on it this weekend. Am still trying to find her phamplet, I saw it on one site but you have to subscribe to a web site called Scrib…will keep looking for a freebie! Bless you and thank you again for sharing this!!! I too wanted to thank you for sharing this! I watched the video and knew this is what I needed to do! For personal prayers (family and friends) I use a journal! I’m on the ‘prayer’ team at my church and for Good Morning Girls online Bible study — When I pray over requests through them, I journal in word and keep track that way. Thank you for sharing the added resources! Thank you for this article. I am obsessed with anything and everything prayer-related (Biblical prayer). The method I use is this awesome website http://www.echoprayer.com. You can set reminders, edit prayers, record answers to prayers, and so much more. It is also super easy to use. I have found it to be a key component to my rich and satisfying prayer life. Thanks for sharing- hadn’t heard of the site before now! Bless you, Megan!